The Dominica Consumer Protection Association (DCPA) is currently working in collaboration with the Dominica Solid Waste. On Thursday January 24th the Dominica Consumer Protection Association, DCPA executed phase two of the Pilot West Coast Solid Waste Management Project, during an official ceremony in which the bins were handed over to every household in the Tarreau community. 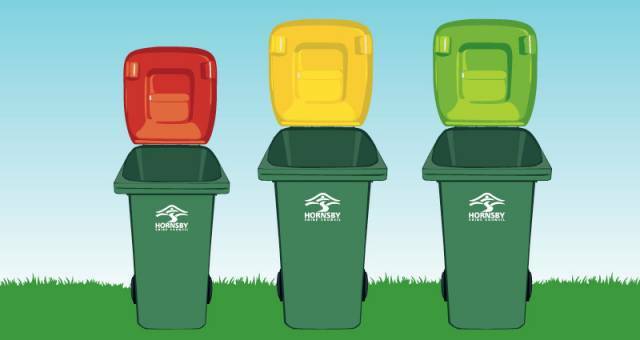 The bins will be used for separating waste such as bottles, tins and plastics. Mr. Jenno Jacob says, The Dominica Consumer Protection Association can assist in the reduction of waste items in Dominica, especially in keeping with ban on plastic. “The Landfill was commissioned in 2005 and was meant to last for 15 years. The Landfill is currently filled to capacity and all types of waste come to the landfill. The advice to waste generators is the need for waste separation at source. The need for recycling and composting in order to reduce the volume of organic waste coming to the landfill. This will auger well in utilizing of the space which we have presently in landfill.” Mr Jacobs stated. Secretary of the DCPA Antony Scotland says the Dominica Consumer Protection Association is in sync with Government, and is looking to work with companies which need the recyclable items to make certain products. We as a country need to find ways to recycle and reuse those materials. He added. The parliamentary representative Mr. Blackmore was also in attendance at the Bin handing over ceremony. He commended the Dominica Consumer Protection Association for ​embarking on this project and in Dominica we must do better in managing our waste and it is our responsibility to dispose of them correctly. The Dominica Consumer Protection Association handed over ninety bins to every household in the community, under the West Coast Solid Waste Management Project with is currently funded by the GEF Small Grants Programme of the UNDP. The project which take on phase three which will include educating the villagers on composting. It is envisioned that this compost can hopefully be used by farmers within that community. The DCPA also has began working with community members of Layou to begin executing the same project, community meeting have already been held and the Association is working quickly towards executing phase two and three of the Pilot Solid Waste Management Project. The Dominica consumer Protection Association thanks the community of Tarreau for their active participation in the Solid Waste Management project and the Association look forward to working with all members of the community for execution of stage three which will include composting. This project is in keeping with the Sustainable development Goals action 2030 and the Consumer right to a clean and healthy environment.